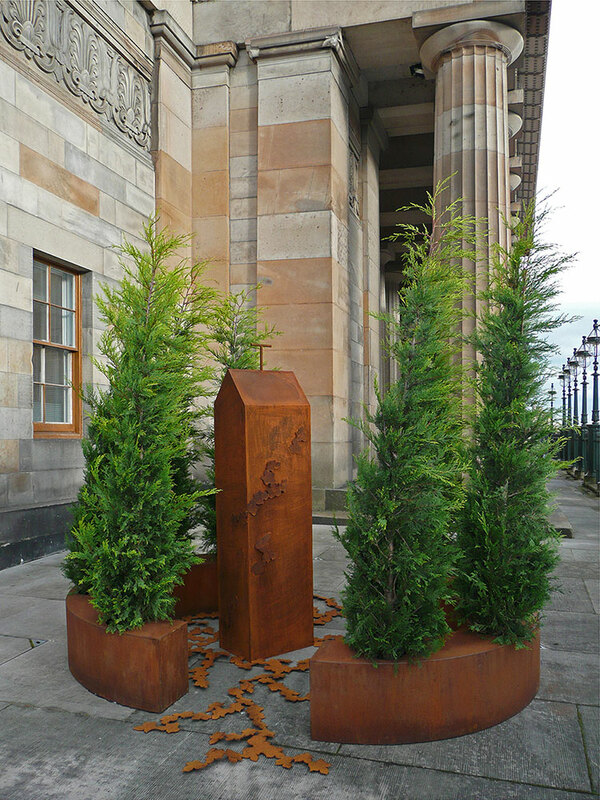 This is a sculpture installation developed for the SURVEY exhibition at the RSA, Edinburgh. It is a contemporary version of a classic bosquet garden, defined as a formal plantation of at least five trees of an identical species and symbolic of order in a humanized and tamed landscape. Bosquets form intimate ‘rooms’ offering privacy and relief from the grand scale and public formality of their surroundings. By laying out leaves on the ground access to the garden was denied to the public.